Fearless, the youth service of the independent charity Crimestoppers, premieres a film in Cardiff today hoping to educate young people to speak out against crime in communities across Wales. The short film, made by ‘It’s My Shout Productions,’ features a series of fictional crimes witnessed by young people in different locations in Wales and shows them turning to Fearless. The film is being supported by the All Wales Schools Liaison Core Programme and was made possible thanks to a fund setup in memory of Percy Hoskins, a former chief crime reporter at the Daily Express. After he passed away, the fund was established to be used for ‘fighting crime’. Crimestoppers Wales is the latest recipient of this fund. Fearless provides educational tools and resources for 11 to 16 year old’s encouraging them to make positive, informed decisions around crime and criminality. 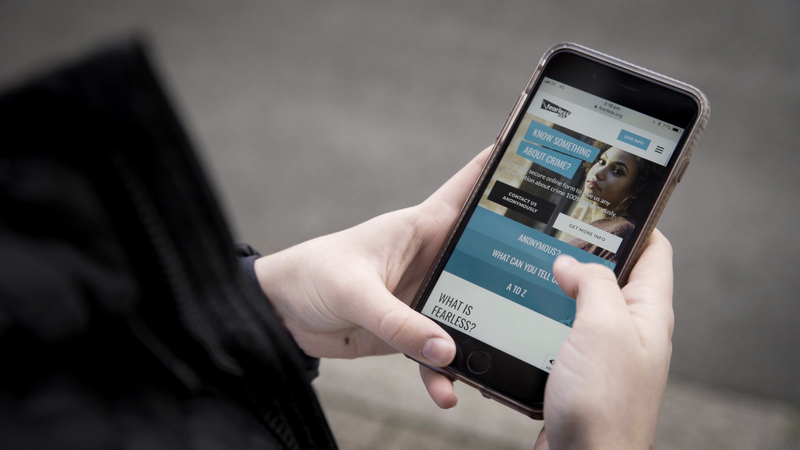 Its website – Fearless.org – has been updated to enable young people to pass on information about crime in the Welsh language, completely anonymously and safely. As well as through a schools programme, Fearless is being introduced via a variety of community projects throughout Wales, including working with the Police and youth groups. More information about the service can be found at Fearless.org, which also contains free information for professionals, which includes topics such as Child Sexual Exploitation, Knife Crime and Street Crime. The short films can be viewed on the Fearless YouTube channel at youtube.com/FearlessORG.